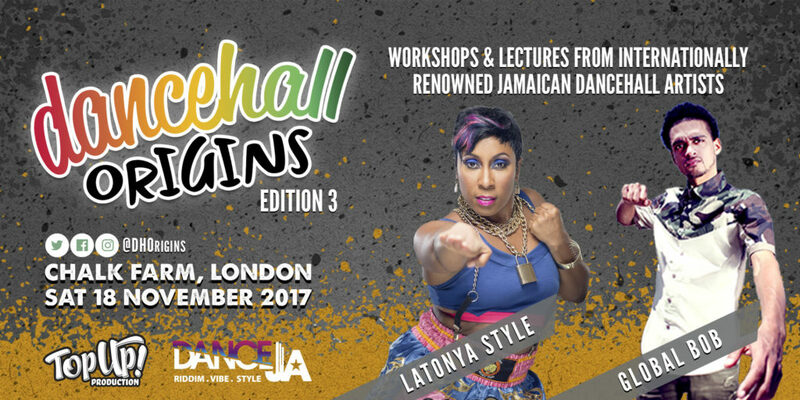 I’m excited to announce Dancehall Origins 3rd Edition, taking place Saturday 18th November 2017 in Chalk Farm, London. Following the success of the first, second and special editions since October 2016, Dancehall Origins returns to London with two huge names direct from Jamaica leading workshops and a panel discussion. WHO: LATONYA STYLE teaching for the first time in the UK, and GLOBAL BOB back by popular demand. Early-bird tickets are available until 18th October: £50 for 2x workshops plus 1x panel discussion (bargain!). Further information, including schedule, location, artists and tickets can be found via our website. Don’t forget to follow us on Facebook and Instagram for the latest news and updates.